The Boston Terrier has been around since the mid-1800’s and has been recognized by the AKC for almost as long as the breed has been around. Today, the Boston Terrier is the 23rd most popular breed and for good reason! With wonderful personalities, low-maintenance fur, and a compact size, these little gentlemen make excellent companion pets. Read on for our six awesome facts about the Boston Terrier! Boston Terriers are a distinctly American breed. These little dogs got their start as a cross between the English Bulldog and the English Terrier. The first known Boston Terrier was called “Judge.” William O’Brian of Boston sold the dog to Robert C. Hooper who was also from Boston, reports the AKC. This was the beginning of the Boston Terrier.They are called the American Gentleman not only because of their origins, but because of their gentle disposition. Their kind personalities make them fantastic house pets. Reputable breeders carefully select for these wonderful personality traits. It’s important to select a respected breeder if you are considering purchasing a Boston Terrier. Boston Terriers are well known for being playful and having plenty of energy. The type of exercise you give a Boston can vary widely, depending on where you live and what your housing arrangements are. Luckily, Boston Terriers aren’t too picky about their exercise, so long as they have a chance to put that energy somewhere.An ideal situation is to provide a fenced-in yard for a Boston Terrier, however due to their small size, the yard itself doesn’t have to be large. If there is enough room to throw a ball, that’s enough for a Boston! Because of their terrier ancestry and instincts, many Bostons will enjoy chasing balls, frisbees, and other dog toys.Access to a dog park can also be a great asset. Boston Terriers tend to be social creatures, and love to run and play off-leash with other dogs. It’s important to understand dog park etiquette before going to one. Try starting at the park when it’s quiet to see how your Boston Terrier does. Gradually increase visits and begin going at busier times. It’s important to remember that even though Boston Terriers are high energy and appear to have no fear, they are still quite small! Safety should always be an important concern. Due to their shortened muzzle, Boston Terriers are more likely to overheat quickly than some other dogs. Take precautions when playing outside in the summer months. Bring plenty of water to keep your Boston Terrier hydrated. Wherever you are, be sure to find a shady spot where your Boston can relax and cool down. If your Boston Terrier appears much overheated, it’s okay to cut play time short and find an air conditioned space. You can always make up for it later. Since they have a ton of energy, Boston Terriers make excellent agility competition dogs. The Boston Terrier is a smart breed, and will learn obedience and even agility courses quickly, with plenty of enthusiasm.Agility is especially fun for Bostons because of their love for running and playing. Courses that include jumping, climbing, and running through tunnels will be great for a Boston Terrier and a lot of fun for you to watch!If you are considering doing agility with your Boston Terrier, get ready for some exercise of your own! Despite their small stature and short legs, Boston Terriers are fast. Any owner planning to do agility with one will have their own fitness tested during the agility trials! A Boston’s playful spirit and excellence at obedience activities is all centered around one fact: they love people! No matter what activity a Boston Terrier is performing, they will do it to the best of their ability if they are with you. In fact, if no person is there, they may not do it at all!A Boston Terrier is certainly not an outside dog. 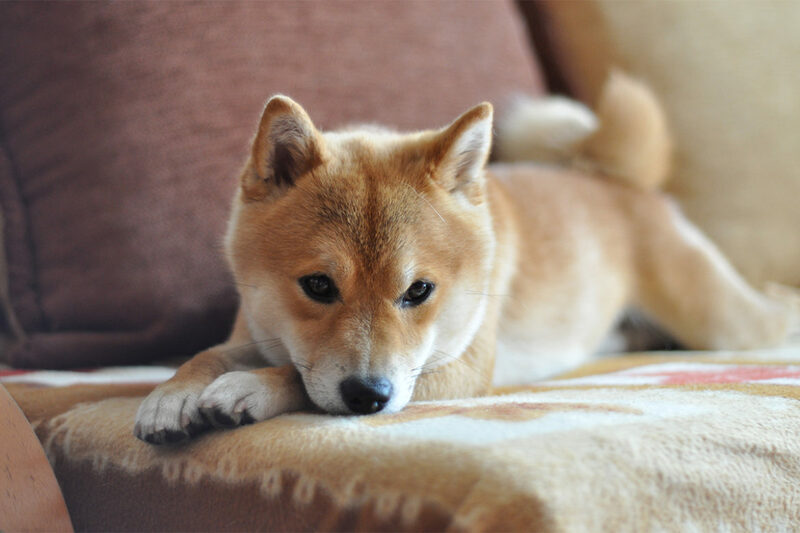 They don’t possess the independent spirit of some breeds, and prefer to be with human companions as much as possible. Their social nature is what draws them to activities such as dog parks and dog day care. They love to interact with others!Because they are so people focused, Boston Terriers can make excellent therapy dogs. Their small size means they can visit with a human in need in almost any situation. They are often equally happy curling up in someone’s lap as they are playing with that person in the yard. Because they are so loving, they do well with almost anyone – from young children to seniors. They truly are a lovable dog! Their short coat may seem appealing to a future dog owner with allergies, but the Boston Terrier does in fact shed. And they shed year round, so be ready to brush them about once a week. Choose a brush that is gentle on the skin, since the Boston Terrier has a short, single-layered coat. 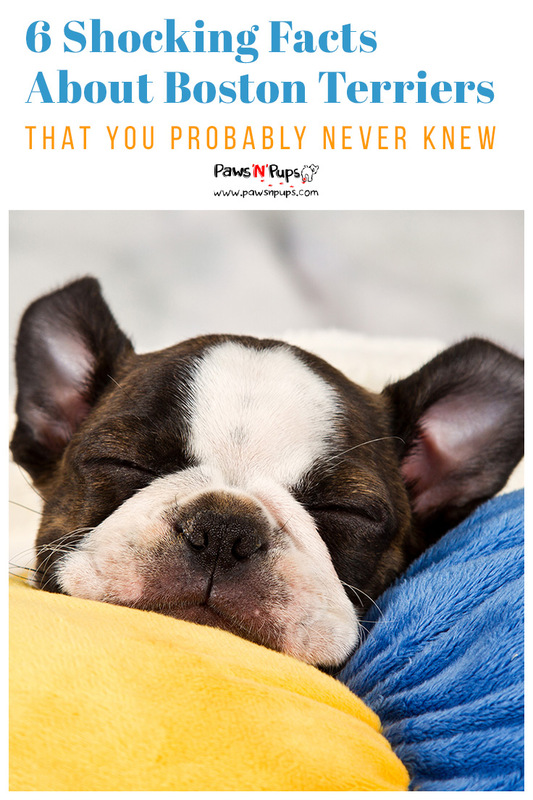 Weekly brushing and a basic vacuuming schedule can keep the hair under control.Boston Terriers are also prone to dander, which is the real culprit when it comes to allergies. If you have your heart set on a Boston though, diet can keep the dander under control. High quality, fish-based dog foods are rich in omega-3s and healthy oils that keep a dog’s skin in good condition. If switching food isn’t an option, fish oil food additives can also be purchased to keep your Boston’s coat glossy and their skin healthy. Share photos of your Boston Terrier with us! We’d love to see what kinds of activities your Boston’s love to do with you. Pugs are actually one of the oldest breeds of dog. The AKC officially recognized the Pug in 1885 – only one year after the organization was founded! The popularity of the Pug comes and goes. Currently these little balls of energy are the 34th most popular breed in the United States. But how much do you know about the Pug? 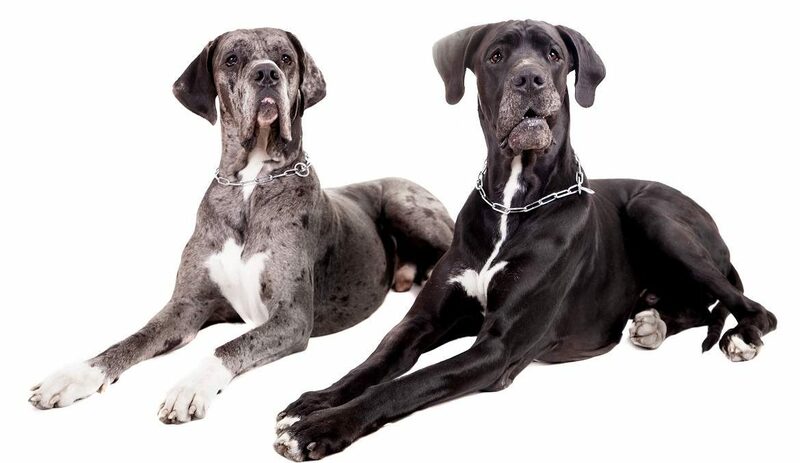 Check out our 6 incredible facts about this ancient breed! They Pug has a long and noble history. The breed can be traced back to ancient China during the pre-Christian era, according to the Pug Dog Club of America. The AKC dates their origins as far back as 400 BC – though their true origins are a bit of a mystery, as they were likely thriving before even the earliest known records!Many Pugs were pets in the Buddhist monasteries in Tibet. But many were also the prized possessions of Chinese emperors. These royal dogs lived a luxurious lifestyle. And because they were such prized animals, they were sometimes even guarded by soldiers! Pug dogs weren’t the only dogs prized by the Chinese emperors however. Both the Pekingese and the “Lion Dog” were popular among Chinese royalty. 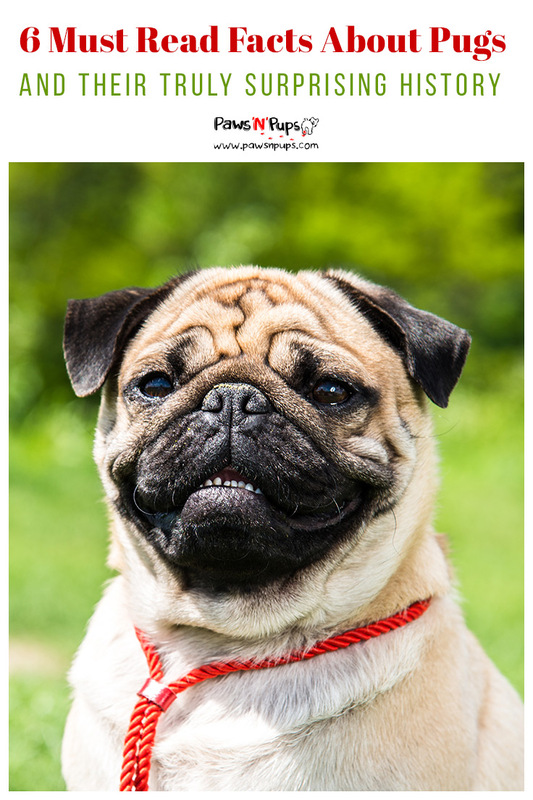 What we know as the Pug today, was actually called the Lo-sze or “Foo Dog.” Today, we can see physical similarities between the modern Pekingese and the modern Pug, due to their common ancestry. Napoleon Bonaparte’s Wife Used a Pug to Deliver Secret MessagesBefore she was even married to Napoleon, Josephine Bonaparte used her dog to send secret messages. During the French Revolution, Josephine was imprisoned in the Les Carmes – one of the most brutal and terrible prisons in France. In order to communicate with her loved ones, she needed to do so discreetly. So she used her pet Pug named Fortune. Fortune had been her beloved pet for quite some time, and he was the only one who was permitted to visit during her imprisonment. Conflicting reports state that Fortune delivered messages to Napoleon himself, though it wasn’t until after Josephine was released from prison that she married Napoleon. Regardless of who the Pug was delivering messages to, it is certain that this brave little dog was the one real link to the outside world for Josephine! Pugs are ‘Pigs’One of the pugs favorite activities? Eating! Perhaps it is due to their royal heritage that they enjoy indulging themselves in the finer things. But whatever the reason, there is no doubt that Pug dogs love their food. The PDCA cautions that Pug owners must be very careful to monitor their feeding as they grow older. Due to their small stature and voracious appetite, it can be easy to overfeed a Pug. Young Pugs can eat three meals a day, but after 6 months of age this can be decreased. Some owners only feed their Pug once a day when they reach adulthood, which is sufficient. It can be very tempting to feed your Pug treats and table scraps when they give their owner the wide-eyed look – but it’s important to resist! Again, it’s easy to overfeed a Pug, so treats should be limited and table scraps should never be given to them. A healthy portion of dry dog food is really all they need! Consult with your veterinarian if you are concerned about your Pug’s weight or eating habits. 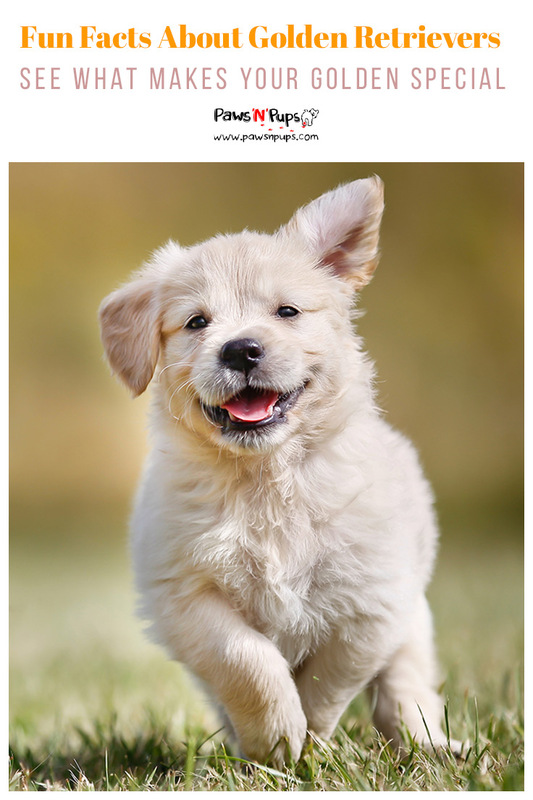 They Only Come in Two ColorsUnlike some breeds that come in a vibrant array of colors such as the Australian Shepherd, Pugs only come in two colors: black and fawn. And no matter the body color, the “mask” on their face should be black. This is all according to the AKC breed standard. Any other color used in a competition will result in a disqualification. Any color that is not within the breed standard is a sure sign of poor breeding practices. Any breeder who is reputable will only breed healthy Pugs who meet the AKC standards. White, blue, or brindle Pugs may seem “trendy” or “rare” to potential Pug owners, but in order to achieve these colorations unethical breeding practices are often used. Pugs with non-standard colorings or markings often have genetic defects that could prove harmful. Dogs with these colorations may also experience increased health problems because of the defect. The PDCA urges anyone who is interested in “unique” colorings on pugs to consider an alternative breed – such as the French Bulldog – where high variations in colors are natural and healthy. They are Perfect House DogsPugs may be the largest breed that is classified in the toy group, but their compact size still has many advantages. Their weight should fall between 14 and 18 pounds. And their small but sturdy stature makes them equally suited for apartment or country life. These little dogs also really appreciate the comforts of home. Pug’s have a difficult time tolerating extreme weather conditions. They thrive as indoor pets in moderate climates. But with proper attention to hydration in the summer and proper outerwear in the winter, a Pug can live almost anywhere. In fact, they can live with almost any person too! As the AKC puts it, “they live to love and to be loved in return.” With their excellent people skills and less-than-intimidating appearance, they make a wonderful pet for people of any age. The PDCA also calls them “clowns at heart” making them wonderfully entertaining and fun for both children and adults. Be Careful How Much You Exercise ThemIt’s easy to think that the more exercise a dog gets the better. For some breeds this may be true, but for the Pug it couldn’t be further from the truth. This is primarily due to the Pug’s brachycephaly. Brachycephaly simply refers to the shortened skull and flattened muzzle found not only in Pugs, but in Bulldogs and French Bulldogs as well. This physical trait is sometimes accompanied by changes to the upper respiratory tract, according to The Pug Dog Club of the United Kingdom. These changes are known as Brachycephalic Obstructive Airway Syndrome (BOAS). Symptoms of BOAS can include snoring, panting, and yes, even exercise intolerance. If you exercise your Pug to hard, it could lead to difficulty breathing. Always start small with a Pug’s exercise routine. Some Pugs will have a higher tolerance than others, so it’s important to go slow and watch for signs such as snorting or breathing difficulties. For some Pugs, short walks around the block is all they will need to stay healthy and happy. We’d love to meet the Pug in your life! 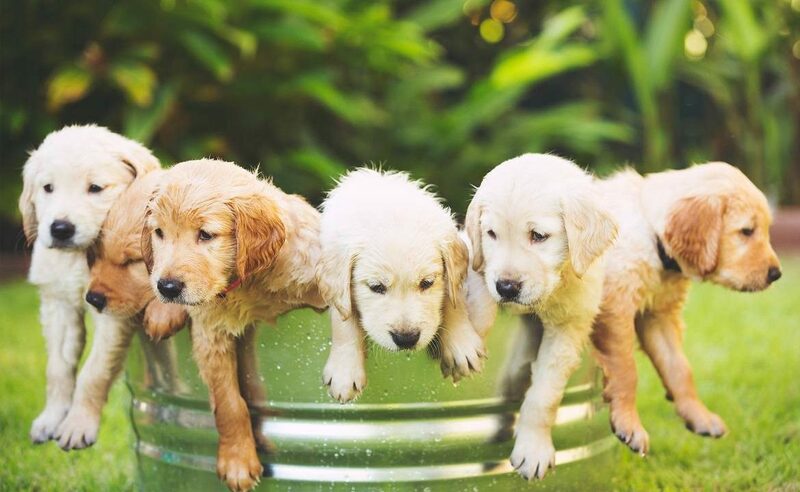 Share a photo, tell us a story, or leave a comment about these fun, and lively little dogs! With a large frame, thick fur, and striking colors, a Bernese Mountain Dog isn’t an easy dog to miss. But who would want to? This adorable breed has the look and temperament of a true gentle giant. Though they may be quite sweet, and are certainly beautiful to look at, the Bernese Mountain Dog doesn’t rank as high on the popularity list as other sweethearts like the Golden Retriever. Think you might like to know a thing or two about the Bernese Mountain Dog? 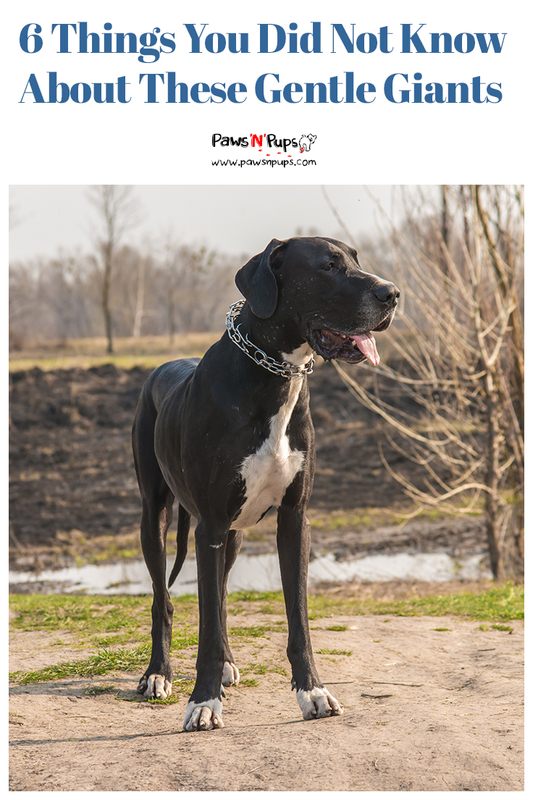 Read on for our six fun facts about this noble breed. 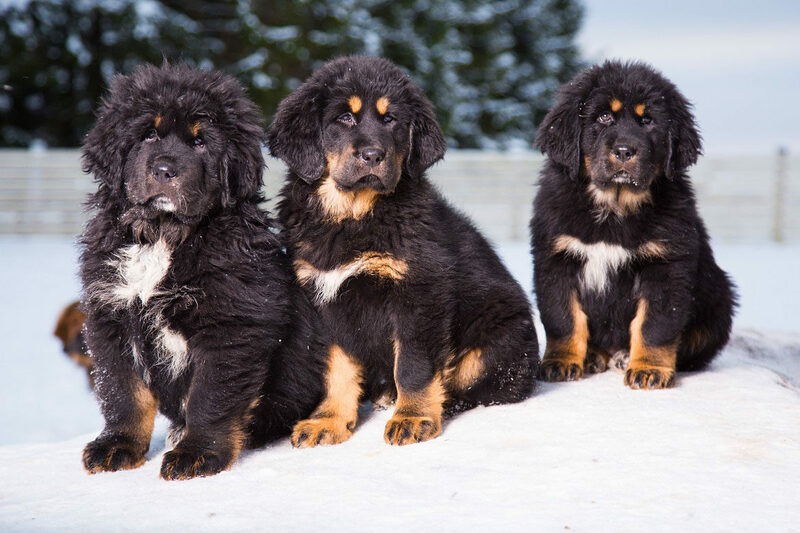 They are One of Four Types of Swiss Mountain DogThe Bernese Mountain dog may be the 30th most popular breed in the United States, but it has three other cousins who have deep roots in Switzerland. In fact, the first of these breeds were brought to Switzerland two thousand years ago when Roman soldiers invaded the area. Once they gained popularity in Switzerland, the Bernese Mountain Dog, the Appenzeller Sennenhund, the Entlebucher Sennenhund, and the Greater Swiss Mountain Dog were all bred as drovers, draft dogs, and watchdogs for Swiss farmers.In Switzerland, the Bernese Mountain Dog is known as the Berner Sennenhund, according to the AKC. All four of the Swiss Mountain Dogs have similar coloring, but the Bernese Mountain Dog is the only one of the four to have thick, long fur. Cold Weather is their FriendWith all that thick, gorgeous fur it’s no wonder farmers in the Swiss Alps loved these dogs! Bernese Mountain Dogs thrive in cold climates. Their double coat keeps them warm in the frigid weather. But with so much fur, they have a tendency to shed a quite a bit. Fortunately for any future “Berner” owner, these dogs don’t require much grooming. The AKC recommends just a small amount of daily brushing to get rid of tangles. A daily brushing like this is generally enough to maintain their beautiful fur! They are Skilled Farm DogsOriginally, the Bernese Mountain Dog was bred to be an all-purpose farm dog. And to this day, they still shine in many areas of farm work. In fact, according to the Bernese Mountain Dog Club of America, they are able and willing to do most any task that is sent their way.Traditionally, the Bernese Mountain Dog was best known for their drafting abilities – or more commonly called “carting.” The Bernese used to pull carts full of milk products from farms all the way to villages for selling. Today, Berners can still participate in drafting – either on a farm or in a competition! The BMDCA hosts a Draft Test Program for Bernese Mountain Dogs and their owners. These competitions offer up a chance to test out the traditional skills and abilities the Bernese are still so great at. Another traditional farming skill that Bernese Mountain Dogs continue to compete in is herding. Though they are not as strongly inclined towards herding as a Border Collie might be, Bernese Mountain Dogs still display strong herding instincts. Many of them were traditionally used to herd cattle, which was very suited to their calm and gentle personalities. But They Also Excel At Modern ActivitiesDid we mention that Bernese Mountain Dogs can do almost any task? Well here is further proof! Not only to Bernese Mountain Dogs continue to perform traditional farming activities, but they compete in modern-day skill competitions as well.You may be surprised to learn that one area the Bernese Mountain Dog excels in is agility. Weighing upwards of 100 pounds, you may not expect a Berner to be particularly agile. But as we said, they love to work! The Bernese Mountain Dog Club of America states that agility competitions can be exciting for dogs and their handlers who want the challenge of racing against the clock and navigating obstacle courses. But not everything a Bernese Mountain Dog participates in is athletic. Many Bernese are being trained as therapy dogs, and excel in this area. Berners are naturally affectionate towards humans, which makes them excellent candidates. The BMDCA encourages anyone who wants to train their Bernese Mountain Dog in therapy work to give their puppy early and frequent socialization. Some Bernese have a tendency towards shyness, and it’s important for a therapy dog to be social with people. They are Extremely Easy-GoingWith all this talk about how hard-working the Bernese Mountain Dog is, you may think it’s all work and no play for a Bernese owner. Think again! In addition to being strong, “calm” and “good-natured” are two of the chief personality traits the AKC looks for in a well-bred and healthy Bernese.Bernese Mountain Dogs love their families. For complete happiness, being near them is all they need. When they are in the home, they tend to be quiet, gentle, and eager to please. And they do well with children! Since they were traditionally bred as drovers, pulling children in carts or wagons is a common (and fun!) activity Berners can do with their family. The BMDCA notes that Bernese Mountain Dogs do not do well in isolation. They need to be with their families to remain calm and happy. Without proper training and socialization, a Berner can become stressed or even act out. Berners Don’t Bark MuchYou might think a loud booming bark might be a common thing to hear from such a large and strong breed. Not so! The Bernese Mountain Dog is actually a relatively quiet breed, and rarely barks or makes noise.The AKC notes that to prevent any sort of barking or stress, it’s important to properly exercise your Bernese Mountain Dog. As a working breed, this dog will have a lot of energy. And as a dog of a large size, it’s important to put that energy to good use! Fortunately, Bernese Mountain Dogs love to work and love to be outdoors. Hiking, cart pulling, running, or any other physical activity will suit them fine – so long as they are doing it with you! The Bernese Mountain Dog Club of America also notes that a Bernese may become noisy or even destructive if left alone for long periods of time. They are very social and attached to their families. For a calm and happy dog, it’s important to spend quality time with them. Do you know a Bernese Mountain Dog? Do they work? Do they play? Perhaps they do a bit of both! Let us know! The Tibetan Mastiff is an ancient breed hailing from the Himalayan Mountains. Its origins are surrounded in mystery, and its breed lineage is quite primitive. 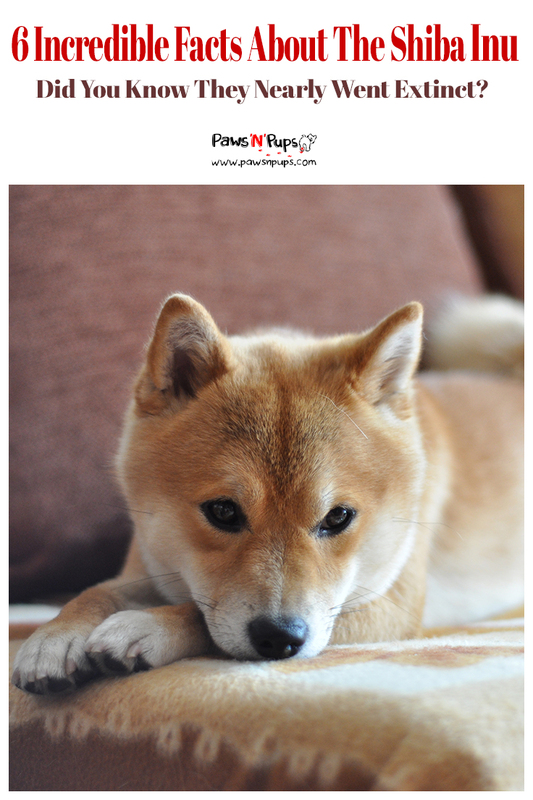 Though the breed has been around for thousands of years, it is only recently gaining recognition in the United States. Here are six things to know about the majestic Tibetan Mastiff. Maybe it’s the right dog for you! Though the Tibetan Mastiff has only been recognized by the AKC since 2007, the breed has a rich history intertwined in the Himalayan Mountains and the plains of Central Asia. In Tibet, Tibetan Mastiffs have always been highly prized for their strong guarding abilities. According to the American Tibetan Mastiff Association, most large working dog breeds can trace their ancestry back to the Tibetan Mastiff. But the TM is quite a mysterious breed, having no formal recordings of its existence before the 1800s. This is partly because few Westerners were even allowed into Tibet up until that period. The Tibetan Mastiff remained a breed isolated to that region. Today they are still highly sought after in Tibet as guard dogs, though you’d be hard-pressed to find a purebred. Tibetan Mastiffs in Tibet are typically tied to gates during the day and let loose at night to guard the homestead. Others work with shepherds, guarding against predators that could threaten the livestock or their master. But they are best suited to guarding homes since they are loyal and territorial by nature. This may seem crazy, but it’s true. They don’t shed! But that doesn’t mean they don’t lose all that fur. Once a year the Tibetan Mastiff “blows its coat.” This means that for a brief period of time during the warmer months, the TM will be shedding like crazy. But for the rest of the year? No shedding at all! The AKC still recommends plenty of brushing. The Tibetan Mastiff has a long, double-layered coat that can get matted and messy. Brushing their fur is important whether it’s shedding season or not! But when the Tibetan Mastiff does blow its coat, brushing is extremely important. In fact, it should be a daily activity to ensure all the dead hairs don’t get tangled in the healthy ones. Tibetan Mastiffs are bred to have strong jaws and teeth, ideal for a guard dog to properly perform its duties. On top of that, the Tibetan Mastiff is a very intelligent and independent dog. Without the proper training, a strong mouth and a bored mind can lead to some serious destruction in your home. This is especially true during the puppy years. The American Tibetan Mastiff Association repeatedly states that the key to combating unwanted behavior is lots of socialization. Keep things interesting by taking a Tibetan Mastiff on a variety of different walks. Bring your Tibetan Mastiff to the playground, to sports games, and other activities while they are still young and easily trainable. Exposing a Tibetan Mastiff to lots of new and different situations will keep their brain engaged and combat their tendency to be overprotective and find ways to entertain themselves. For those interested in a Tibetan Mastiff, rescue organizations such as Tibetan Mastiff Rescue work to adopt well-trained, adult Tibetan Mastiffs to new families. This can be a wonderful alternative for a family that doesn’t have the time to housebreak a puppy, and cannot afford to risk all their things getting destroyed by a young Mastiff puppy. Tibetan Mastiffs combine a fierce independence with a sensitive sweetness that doesn’t lend itself well to competition that other breeds might excel in. Though they can compete for the title of “Best in Show” in dog shows across the United States, Tibetan Mastiffs typically don’t do well. ATMA states that this is due to their stubbornness when it comes to basic obedience. Though they tend to be fast learners, it is not uncommon for a Tibetan Mastiff to challenge their owner when being given instructions. This is not because they don’t care for their owner. Tibetan Mastiffs are extremely devoted and sensitive to their families. However, they tend to think they know best – and will avoid listening to their master to prove it. This is not to say it’s completely impossible! Many Tibetan Mastiffs have successfully learned and retained basic obedience and gone on to compete in obedience competitions. As a guard dog, the Tibetan Mastiff’s instinct is to bark. 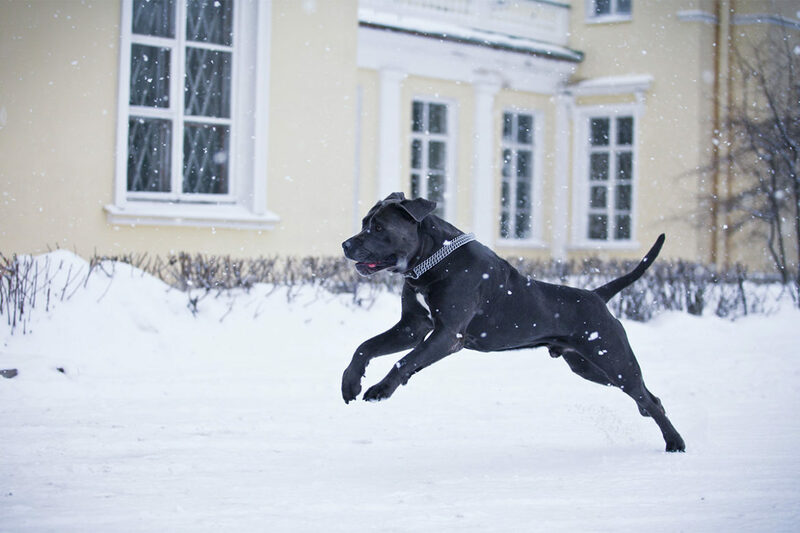 Though this impulse is more subdued when the Mastiff is indoors, the dogs especially take to barking in the evening. It is recommended that a Tibetan Mastiff owner bring their dog indoors for the night. When they are left alone outside, this is when their guarding instincts will take over. The slightest sound could be seen as a threat, and with no owner there to tell them otherwise, the Tibetan Mastiff will set their own rules. This night barking can be troublesome for neighbors, especially in close communities. But most Tibetan Mastiffs will be much more relaxed by their family’s side – during the daytime and the nighttime. Though many may find their guarding instincts troubling and their size intimidating, Tibetan Mastiffs are actually famously wonderful with children. Proper socialization is key to bringing out a Mastiff‘s nurturing side. With plenty of exposure to children from puppyhood, the Tibetan Mastiff does very well. The guarding instincts drive them to keep children safe, and their sensitivity to humans ensures that they will always be gentle with those who they sense are vulnerable. Besides children, Tibetan Mastiffs are wonderful with their families. These dogs are extremely devoted to the family that cares for them – even if these dogs can be a bit stubborn! They always have their master’s best interest at heart. 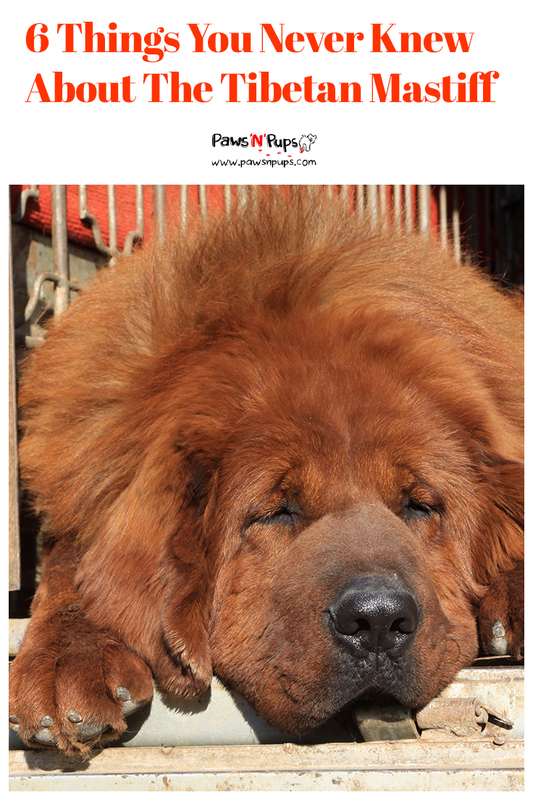 Do you have a Tibetan Mastiff? Are you interested in owning one? Tell us about it! The Chihuahua is officially the smallest dog breed on earth. But that doesn’t mean these little cuties don’t pack a punch! 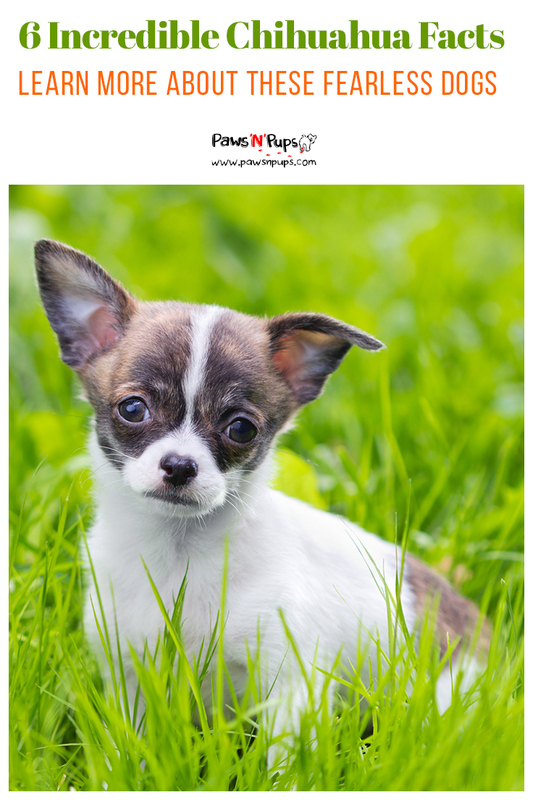 Chihuahua lovers everywhere know that these pint-sized dogs are full of personality and fun. Check out these six facts about the tiniest dog breed on the planet. Everyone thinks of the Chihuahua as a Mexican dog. But what if we could trace their history back to Asia? The British Chihuahua Club states that some authorities believe the breed’s origins can be traced back to China. One major reason to believe that Chihuahua’s may originate in Asia is the ancient Chinese practice of breeding dogs to a miniature size. And while there is much evidence tracing early versions of the Chihuahua back to the Aztecs, some believe the modern version is a result of crossbreeding these ancient Aztec dogs with Asian, hairless dogs. The AKC states these hairless dogs were the Chinese crested breed. This breed crossed the land bridge between modern-day Russia and Alaska to reach the North American continent, resulting in the cross-breed we now know as the Chihuahua. Despite these theories however, most evidence points to the Chihuahua’s major ancestor being the Techichi, a breed the Aztec’s used for religious purposes. Pictures resembling the Chihuahua can be seen in ancient Mexican artwork. It’s easy to assume such a small dog needs plenty of protection. Think again! Though they may be physically fragile, their temperament will tell you otherwise. 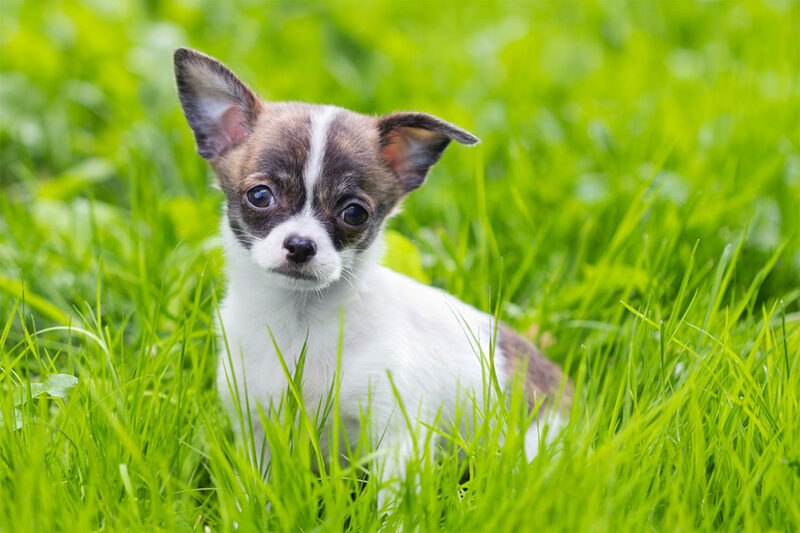 The AKC lists “terrier-like qualities” as part of the Chihuahua’s breed standard. This makes the Chihuahua more fearless than perhaps they should be. A Chihuahua will bark at most anything, forgetting both their size and their manners. Because of this, it’s important to remember not to spoil a Chihuahua, but to remain firm in their training. A common thing for Chihuahua owners to do is to soothe and comfort the little dog when he or she is barking at something. The Chihuahua Club of America cautions that doing so will only reinforce bad behavior. If a Chihuahua barks and gets upset, then hears a soothing and positive voice, they will associate the positive voice with the bad behavior and continue it. Don’t let their cuteness fool you! A solid training foundation is important, no matter the size. As such, positive training is your best bet. When a Chihuahua exhibits desired behavior, lots of praise should be given. Many Chihuahuas are alert, intelligent, and eager to learn. Training should be a fun, and relatively painless process. However, their small size can mean an owner needs to step in to protect the Chihuahua. When faced with a larger dog who is misbehaving, this is an appropriate time to scoop up a Chihuahua and not rely on training alone. Most people think of a Chihuahua as one thing: tiny. But there are a few different varieties of Chihuahua that all fall within the breed standard. 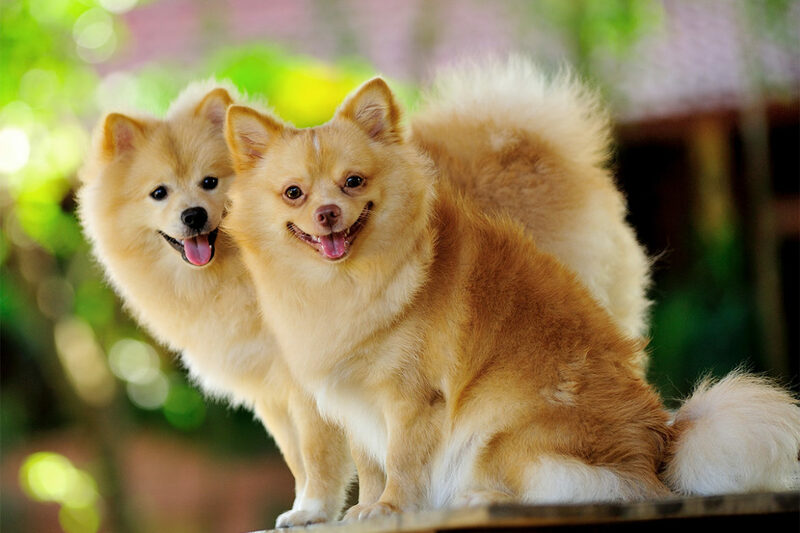 One of the more obvious differences within the breed is the long-haired and the short-haired Chihuahuas. The AKC refers to these types as “long coat” and “smooth coat.” A long-coated Chihuahua should have thick fur to qualify for a dog show. The Chihuahua Club of America states that a coat that is too thin will result in disqualification. A smooth coat should be soft and glossy, and of course, shorter! The other variation found in Chihuahuas is the head shapes. Some Chihuahuas have a rounded head or apple-shaped dome. Other Chihuahuas have a flatter head and are called deer-head Chihuahuas because of the sleek nature of their appearance – resembling a deer. When showing Chihuahuas, the rounded, apple-shaped head is preferred, according to the CCA. But as far as we’re concerned, both are adorable! The Hero Dog Awards, sponsored by the American Humane Association, are “an annual, nationwide competition that searches out and recognizes America’s Hero Dogs – often ordinary dogs who do extraordinary things.” In 2015 that hero was a rescued Chihuahua named Harley. According to Today, Harley lived out most of his life in a puppy mill, spending ten years in a small cage before he was rescued. His time in the puppy mill left Harley with a broken tail, gnarled toes, infected teeth, heart disease, and a missing eye that had likely been lost when his cage was power-washed – with Harley still inside. After his time of healing, Harley spent his days raising awareness about the horrors of puppy mills. His campaign “Harley to the Rescue” raised over $500,000 to help free over 500 dogs from puppy mills across the Midwestern United States. Even at the ripe old age of 14, Harley traveled to schools and made other public appearances to educate people about the horrors of puppy mills. Sadly, Harley passed away on March 20th. But although he was small, he left the world with a big legacy. It’s true. Unique to Chihuahua’s, this breed is often born with something called “molera” – a soft spot on their head, similar to that of a newborn baby. Molera can be felt on a Chihuahua by gently petting the top of its head in search of the soft spot where the skull parts slightly. Modern Dog Magazine states that the Molera is used to trace the ancestral origins of the Chihuahua. The CCA assures that molera is a normal occurrence in Chihuahuas and is not a cause for alarm. Though there is some concern that the presence of molera means the Chihuahua is predisposed to other health issues, these statements are not true. Chihuahuas can live out a normal life with the presence of molera. If and when it occurs, it will be found on the top of the head, in varying shapes and sizes. Compact and lightweight, Chihuahuas are the perfect dog for the city-dweller on the go. 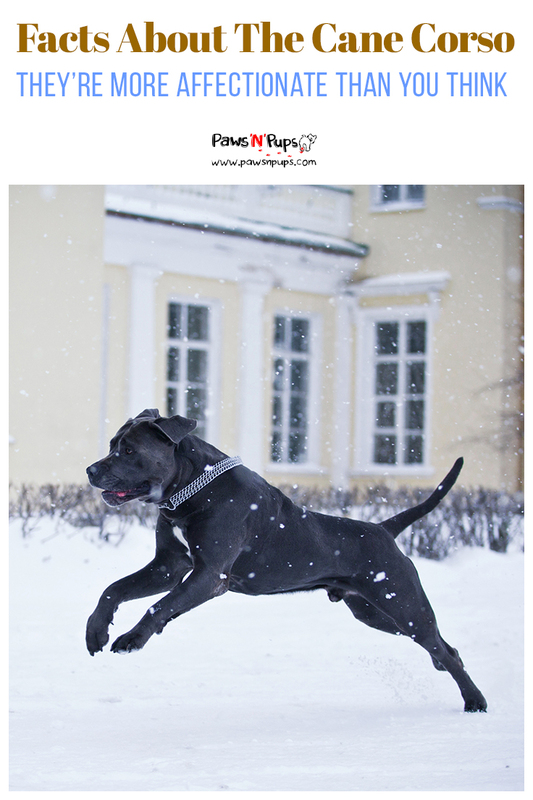 Modern Dog Magazine calls them a “solidly built dog” which is perfect for the tough nature of a city. Because of their size and temperament, they do very well in apartments. Chihuahuas don’t need much space to live comfortably, and would much prefer to be on their owner’s lap than running through the woods. However, coyotes can be a common predator to dogs in the city, and Chihuahua owners should be especially wary. These little dogs can be feisty and may try to pick a fight! Always be vigilant of your dog’s safety. Besides being perfectly compact, the Chihuahua loves to dress up. More accurately, the Chihuahua needs to dress up! 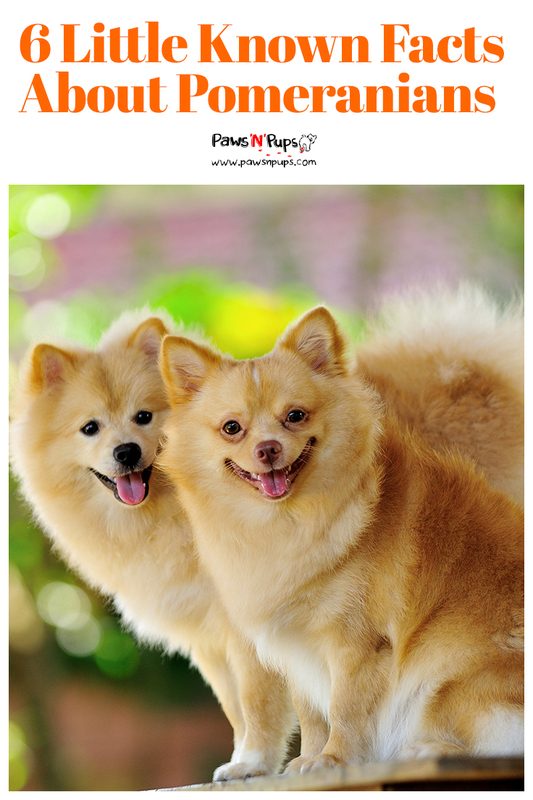 These little dogs are sensitive to the elements and will require a jacket in rainy and cold weather. This can be a lot of fun for the fashion-forward, city dweller and their Chihuahua. Tell us about your Chihuahua! Do you dress them up? Are they long-haired or short-haired? We’d love to hear from you!